The legendary performer, Engelbert Humperdinck, tells it like it is in his newest cover interview. 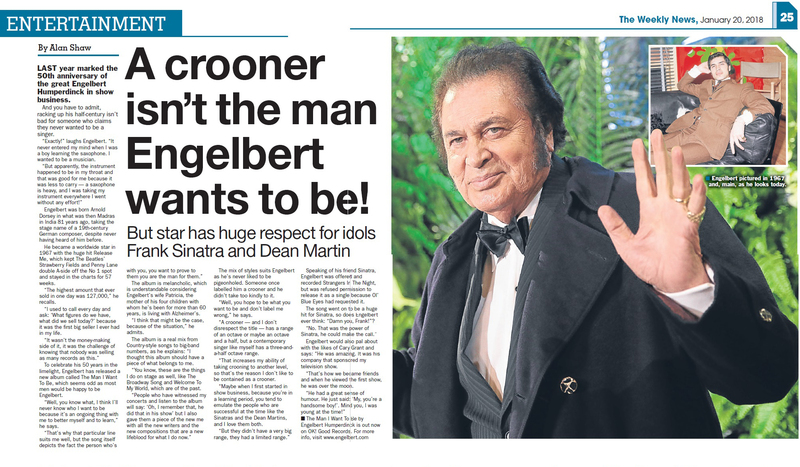 Engelbert Humperdinck sat down with ‘The Weekly News’ to share some of his experiences and personal feelings about being in show business for over fifty years, and his new album The Man I Want to Be. 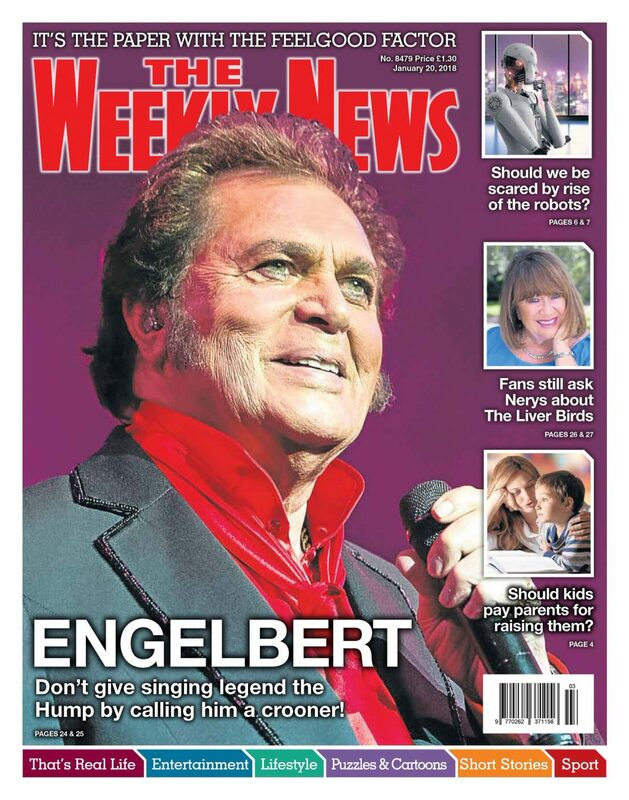 Engelbert Humperdinck’s cover issue of The Weekly News is available now for the week of January 20th, 2018 in Scotland. The Man I Want To Be is available now on OK!Good Records. You can order the CD along with a limited edition signed copies and bundles in the OK!Good Records Shop. The album is also available on Amazon, iTunes, Spotify, Google Play, Barnes & Noble and at music retailers worldwide.